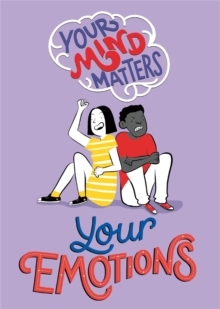 Aimed at young tweens, this book will help you to understand your feelings and develop good mental health. How are you feeling today? Positive emotions can make us feel that the world is a wonderful place, but feeling sad, angry and hopeless can make us think the opposite is true. As we get older we learn how different experiences affect us and become more skilled in managing negative emotions and expressing our feelings. This book will help you to understand your emotions so that you can make good decisions that will shape your behaviour and allow you to build strong relationships with the people around you. There are hints and tips on quick ways to improve your emotional health that you can try every day or whenever you need to.